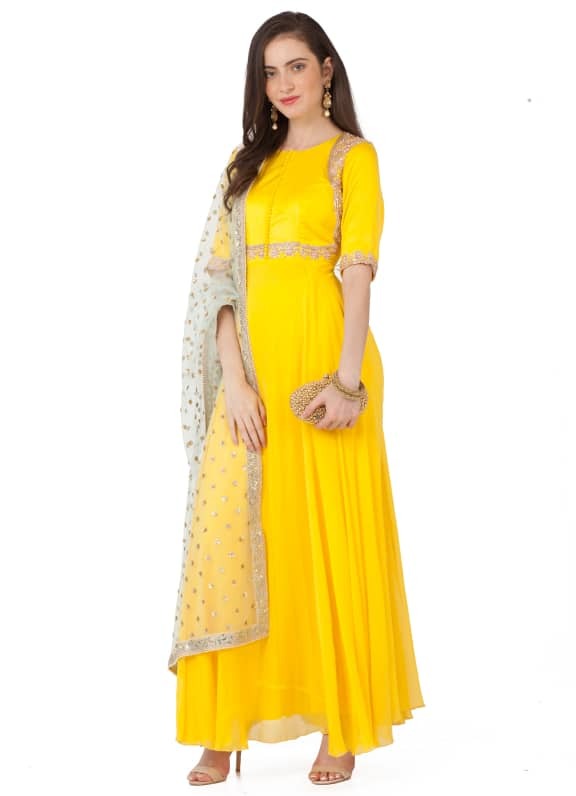 This ensemble features a yellow anarkali with a silk satin bodice with cutdana and gold zari work. 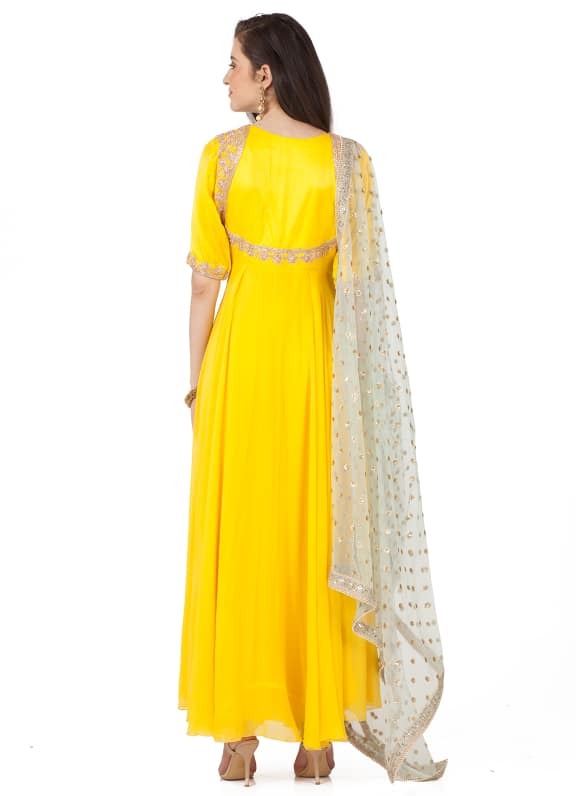 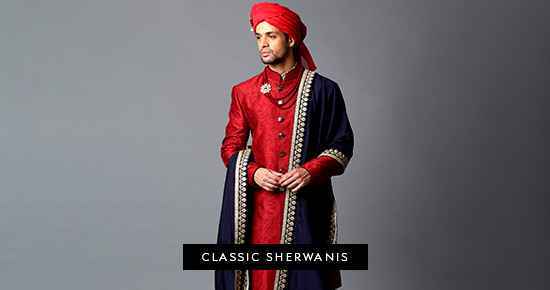 It is paired with plain tights and a contrast mint green net dupatta with sequins flowers all over. 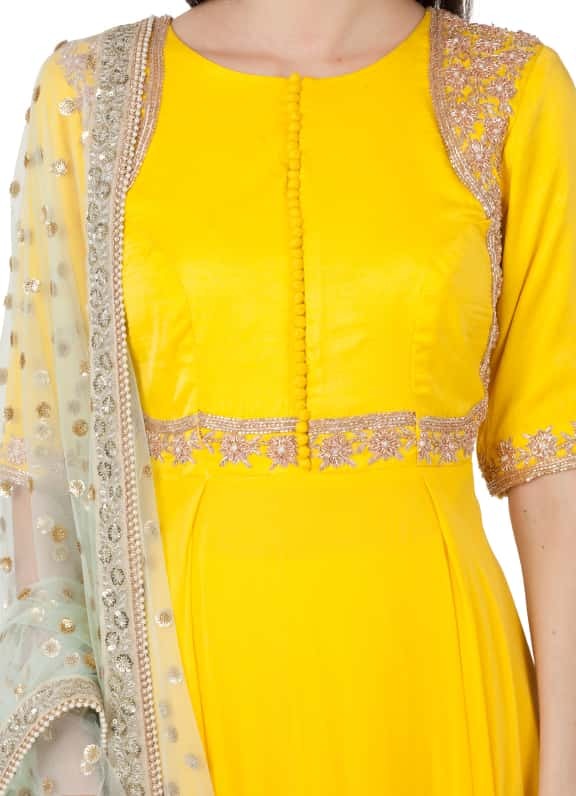 This sunny hue ensemble makes for the perfect outfit for a mehendi ceremony. 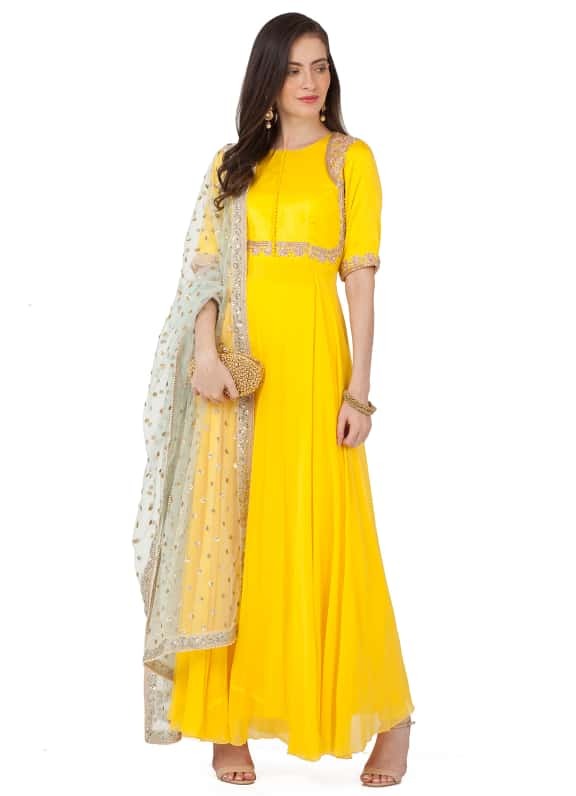 Style this look with gold bangles and earrings by Amethyst.